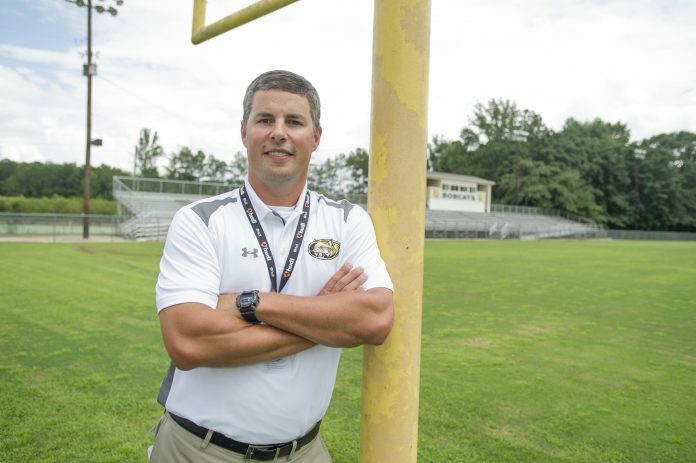 Following a devastating 7-0 loss to Thomasville in the first round of the AHSAA’s 3A State Playoffs, Beulah Coach Cody Flournoy reminded his players that this season was one that would raise the bar for the program for years to come. Finishing with a 3-7 mark in his first season in 2017, Flournoy said in an August interview with the Observer that his team’s mindset was “playoffs or bust” in 2018, a lofty goal for a program that had not made it to the postseason in a decade. Opening with what he and his staff deemed a “manageable schedule,” the Bobcats opened the 2018 season with a bang, winning their first five games. That included a thrilling one-point victory at Bobcat Stadium over the 3A Region 3’s defending champions in Montgomery Academy. Back-to-back losses to Bullock County and Saint James were bumps in the road, but served as teaching lessons and pivotal moments toward helping Beulah’s players and staff achieve their goal of reaching the postseason. On Oct. 19, the Bobcats traveled to Dadeville for a crucial region match-up and with an opportunity to punch their ticket to the playoffs. Leading 32-20 late in the fourth quarter, Beulah’s lead was trimmed to five after a quick Dadeville touchdown. Seconds later, the Bobcats recovered an onside kick and escaped Tiger Stadium with a victory and the realization that they had ended their school’s playoff drought. “For me and the coaching staff, it was a relief because we thought we had a good enough team to get in the playoffs. There has been a negative mindset around here that Beulah can’t close or finish games, and I think we were able to bury that hatchet a bit with the win at Dadeville,” Flournoy said. Beulah slipped by Pike Road before ending the regular season with a 54-7 beatdown of McKenzie, tallying their largest point total and margin of victory all season. The Bobcats graduate 12 seniors, a class that includes offensive lineman Jacob Burdette, linebacker L.C. Moore, running back Caden Dowdell and quarterback Lonzie Portis. Looking to 2019, Flournoy said he is excited with the prospects of 1,000-yard rusher Chris behind an offensive line returning five players with major experience and playing time. Next year’s seniors in hard-hitting safety Dylan Coleman and solid cornerback DaShawn Jones look to be the leaders on the defensive side of the ball. For more information or to see schedules of Beulah’s winter sports programs, visit www.lee.k12.al.us/Page/15.